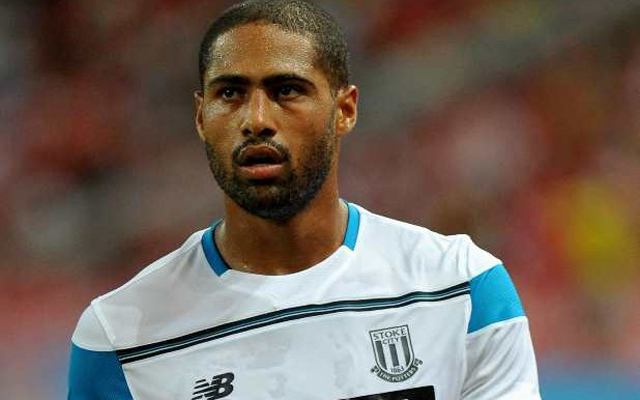 Glen Johnson appears to have mixed feeling regarding his Liverpool exit, having been quizzed about his departure from the club in the build up to his debut with new team Stoke City, which ironically comes against his former side this coming Sunday. The 30-year-old full-back, who spent six years at Anfield after joining the club from Portsmouth in 2009, made exactly 200 appearances in all competitions during his time at Anfield – scoring nine goals and winning one major honour, the League Cup in 2012. Unfortunately, his performances had fell under heavy scrutiny in recent years, culminating in him losing his place in the side last season – with manager Brendan Rodgers preferring either a back three or, when a back four was employed, to play Emre Can on the right-hand side. Johsnon, who was quoted by the Daily Mirror, has revealed that he was offered a new deal to extend his stay at Anfield for another year – likely in a back-up role focusing on helping develop the younger players – but insists that he has no regrets about turning it down. Johnson will instead re-focus his career with Stoke City, where he will likely be an important player who will be afforded the opportunity to feature on a regular basis. “I met Mark Hughes and everything he had to say was what I wanted to hear,” he continued. “I’m settling in well and I’ve been made to feel welcome, so it couldn’t be going any better at the moment. “It’s just typical my first game [for Stoke] is against my old club. That’s football and we’ll do what we’ve got to do. It’s my job and I’ll treat it as any other game. “They’ve made some signings, but not ones that are going to walk straight into the team,” he said. “They’ve lost Raheem, who was an important player, so I wouldn’t say it’s a better squad than last year.